Nighty Night Circus is a bedtime story for little children that will delight them and get them to sleep as they watch each character prepare to sleep and switch off their lights one after the other. 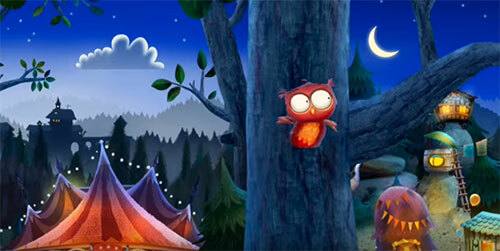 The story begins with a little owl is sleepy and flies to a branch to get ready for bed. The owl is startled by a noise and flies down to find out. There is a circus outside town and the animals are getting ready to call it a night. First we see the bear who makes shapes with balloons. He is very sleepy. The bear blows out his candle and goes to bed. Then we see a sleepy bunny rabbit with his magic wand who dozes off while practicing magic tricks, he soon goes to bed and we wish him goodnight. We go to the elephant’s den next, the elephant is practicing on his stool. He too goes to sleep as we say goodbye. In a kettle shaped home, the snake rattles his tail, does tricks with the balls on the shelf using his tail and then finally slithers into his basket for a good night’s sleep. The seal is in his room playing with a ball and flapping his tail. Soon he too lies down to sleep and we move on to the fleas who live in a shoe. The three fleas take turns playing in their little match box beds and when when the lights go off they too yawn and go to sleep as well. The Lion prances about in his room and does a balancing act by standing on a small ball. He roars and runs about and then comes back in to lie down and slips into sleep. Now all the circus animals are asleep. When we go back to take a look at the little owl, we find her sound asleep too, dreaming about circus probably! ‘Now it is your turn to sleep! 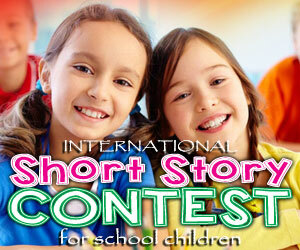 Don't forget to turn off the lights!’ Says the storyteller in his soothing voice as the story comes to an end. This animated story is beautifully detailed and the animals and their voices add to the features. Have fun watching it with your little kid and put them to sleep with beautiful moments to dream about right before bed with you.